Using keyword (AKA contextual) targeting for display ads might seem like a no-brainer, but it oversimplifies the tight match that there needs to be between the content theme and the ad. Contextual targeting on any ad network uses keywords chosen by the advertiser to drive the auction for where an ad placement will display. When a page in the ad network matches the keywords chosen by the advertiser (or extrapolated by the ad network’s software) the advertiser will participate in the instant auction to display their ad to the user. In an ideal world there will be a great fit between the content and the ad, and while the user might not click on the ad they will at least notice the ad as a part of the page. When the ad is not perfectly matched with the content it can grab the user’s attention in either a positive or negative way. The two examples below are incredibly inappropriate matches between the content and the ad. 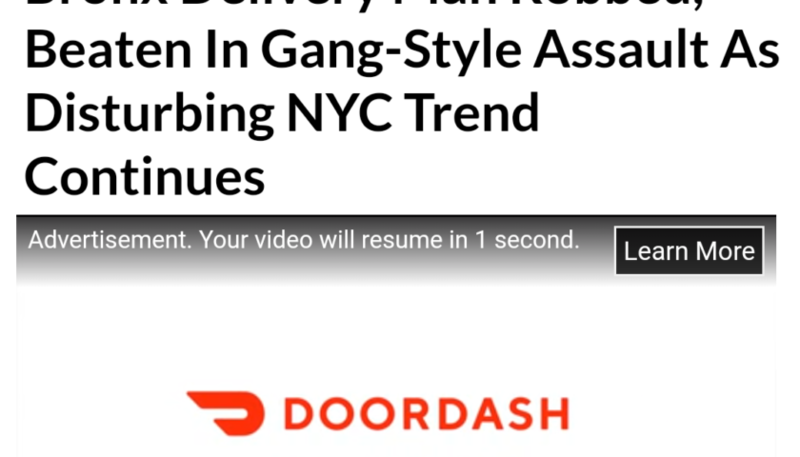 This first example, is a video ad to acquire new DoorDash drivers on an article about a delivery driver that was robbed and attacked while making a food delivery. 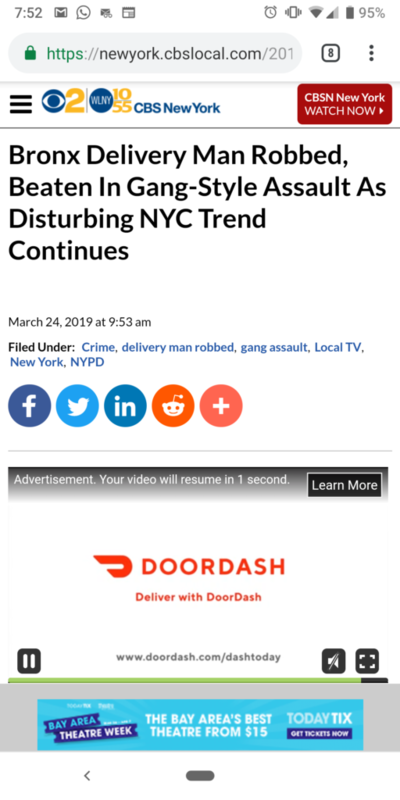 This is obviously great targeting that a DoorDash ad was visible on a piece of content about a food delivery driver, but still a huge mismatch based on the intent. 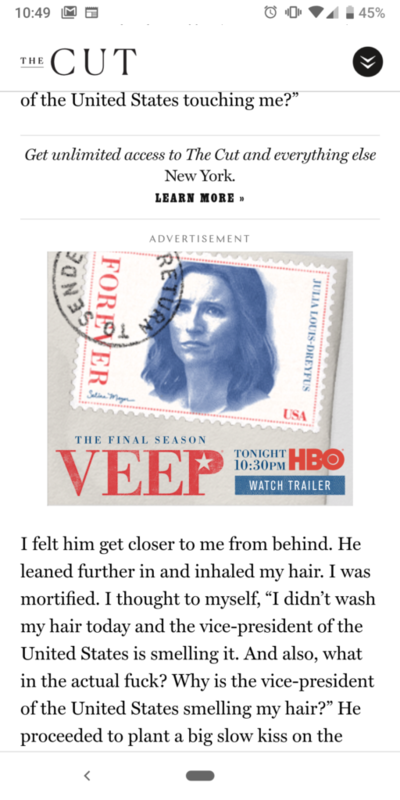 This second example is an ad for HBO’s show Veep on an article about allegations of inappropriate behavior by Vice President Joe Biden. Again this is great targeting based on the keywords, but also the last place Veep should be advertising. It either appears that they are making light of the issue or worse that the show might somehow be related. The average Internet user is likely unaware how online advertising works, and they very well might think it is just like newspaper advertising where placements are carefully chosen. They could not be faulted for thinking that DoorDash and HBO wanted to advertise on these articles. At a minimum, these are wasted impressions or worse they could actually damage the brand. To be fair, I don’t know that DoorDash or HBO are using keyword targeting, and this may be something that the ad networks matched themselves based on relevancy. The targeting decisions are all under the hood, and the brands will still get the negative impression by the viewer. The solution isn’t an easy one, but the only way to avoid any of these negative pairings is to actually choose placements based on fit. Even the best attempts at negative keywords or negative site matches will never guarantee that an ad will not show inappropriately. Brands can advertise on content that doesn’t speak positively of the brand, however they can’t just be standard ads, they have to be deliberate ads meant to counter a negative theme with a positive message. Audience exclusions may be helpful, but they wouldn’t prevent ads from being displayed when the right audience is viewing the wrong content.